Electronic musician James Murphy and the 2ManyDJs will be doing a two night tour of London, England with the Despacio project. The New Jersey-born Murphy is co-founder of the DFA Records label and had his first single project in 2002 with the single “Losing My Edge”. 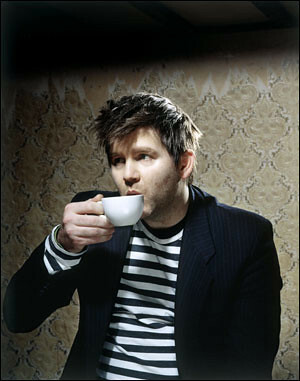 His first album was released in 2005 and was entitled James Murphy. Despacio, which is Spanish for “my space” has been described as a “one-of-a-kind custom-built sound system” and is a seven 50,000-watt, eleven-foot tall speakers for audio. Despacio will play in the borough of Hammersmith in the ballroom of the Hammersmith Town Hall on December 19 and 20. The project will be strictly on vinyl. “We need a night here; something that was just a different thing. Let’s have a party, it’ll be regular, let’s build a sound system…,” Murphy said of the idea behind doing the London gig. Murphy has previously deejayed under the pseudonym Death from Above. He started the LCD Soundsystem in 2001. The sound system is an electronic dance punk band. Music from the band has been on the soundtracks of movies, namely 2009’s Greenburg.